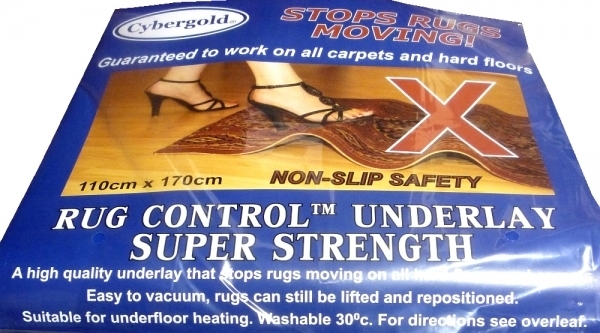 Rug Control™ underlay is the instant solution to stop your rug or mat from slipping or moving, whether laid on any type of carpet, hard floor, including wood, synthetic and stone floors. It is a thin underlay and will not show under your rug or mat. If you wish to move your rug or mat just pick up a corner and re-lay as required. Rugs can be repeatedly lifted for vacuuming and the underlay can be washed and reused up to three times before renewing. Baby & Animal Safe.